Get Cheap Surf Trip alerts that save hundreds of dollars on flights. 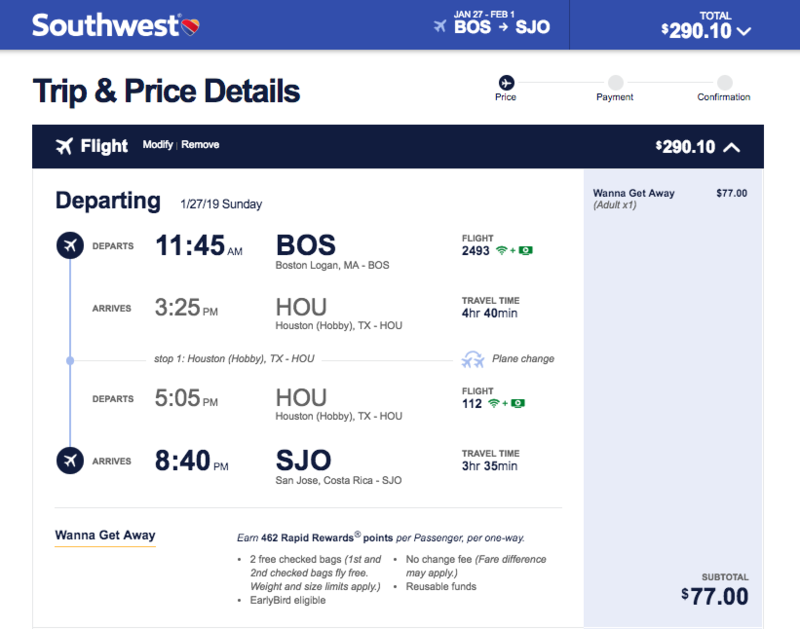 Southwest has an insane deal to Costa with all bags included. While they do charge an extra $75 for a surfboard bag — that is a lot less than Delta charging $150 PER BOARD, or United who charges $150 per board bag. Not to mention both of those airlines charge $35 for the first checked bag and $40 for the second. You easily cover your surfboard bag fee just with what you save on the other checked bags (which are free). 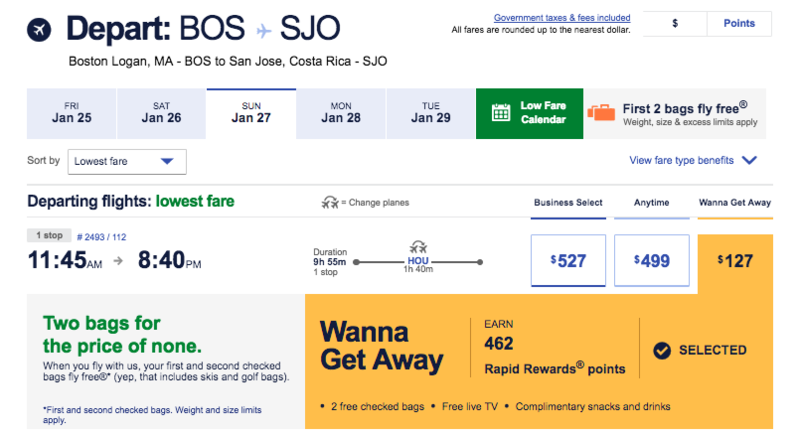 Boston to Costa Rica generally runs $450+ — these cheap surf flights save 35% and get you there with One Stop on Southwest Airlines. 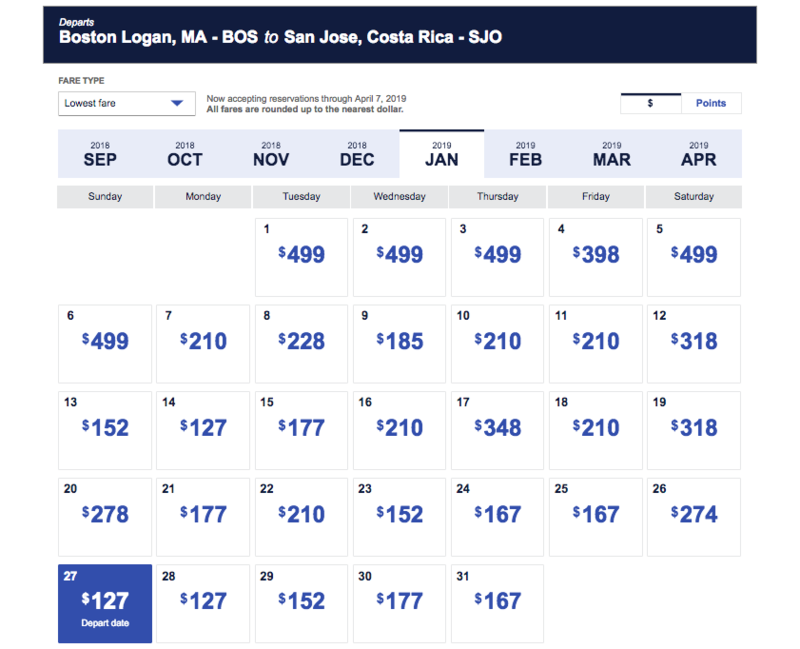 While these flights tie / equal the cheapest price I have ever seen to Costa Rica from Boston, the biggest deal here is the free bag fees — THAT we have not seen before. Free bags saves at least $100 extra, probably more like $150 depending on how you pack (and $250ish vs a discount airline like Spirit etc). These fly into San Jose as opposed to Liberia, so depending on where your final destination is that could be more (or less) of a drive. In years past I have flown into San Jose and then made the drive out to Guanacaste — just because I couldn't get a flight below $650 into Liberia (never got one anywhere near this cheap with bags). Do-able for sure and 100% worth it to go surf someplace warm this January. Most of the cheapest flights go down in January and February — but there are some options starting as soon as November, or alternately as late as March — both options run another $20-$30 or so. That should land you on the right calendar. You are looking for the flights that are $127 on the way out there, and $164 on the way back. Generally the sale covers October through December. 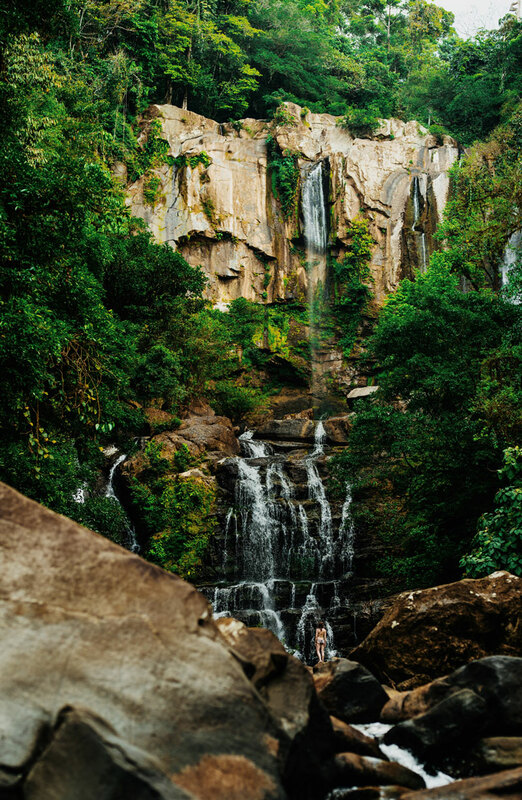 Once you select a date you want to hit continue at which point you are looking for the One-Stop 'Wanna Get Away' flights.